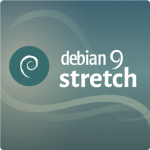 Right in time for the WWDC 2017 and the release of Debian 9 Stretch, a quick guide on how you can enrich your Macintosh with a free operating system. Meanwhile older hardware from Cupertino like my Macbook Pro (Late 2013) is well supported by most GNU/Linux distributions. It is not anymore a thrilling adventure to get its components working like it used to be a few years ago. They just work out of the box. What I still find quite challenging is to choose for and set up a working boot process. My goal is to be able to easily boot GNU/Linux as well as macOS. So this is mainly what this HowTo is all about. My recipe includes rEFInd as boot manager, without GRUB and relying on the EFI stub loader that is since kernel version 3.3.0 an integral part of it. Gestern war die Aussage des neuen T-Punktes am ZOB, dass es zwei und mehr Wochen dauern könnte. Pro Woche bekommt diese T-Mobile-Filiale wohl um die 4 iPhones. Zur Zeit gibt es dort etwa 10 Vorbestellungen. Der T-Punkt im Zentrum Münchens (Kaufingerstraße) hat wohl schon über 100 Vorbestellungen. Auf der Homepage von T-Mobile wird von „Lieferzeiten von bis zu vier Wochen“ gesprochen, Computerwoche.de berichtet von bis zu sechs Wochen.